Bangkok is called many things. But the name that is most commonly used is “city of angels”. I think “city of temples” would be a good description as well. 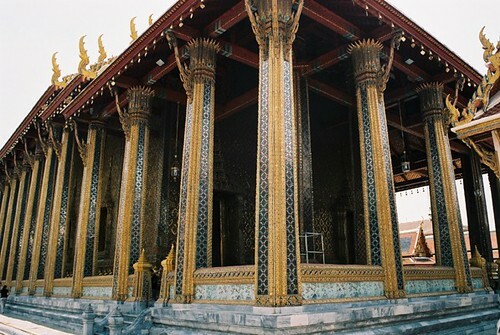 There are hundreds of Buddhist temples in Bangkok and you could spend months exploring them all if you wanted to. Some are fancy, some are humble, some are big, some are small, some are glitzy, shiny and colorful, while others are gray and plain. For many visitors, these temples can be one of the most popular and fascinating tourist attractions. Do you know at which temple this picture has been taken?